Goa is all about having fun with your friends and special one and if you aren't chilling, you aren't living it out loud enough! As the Goa Weather is quite awesome during the winter, you will definitely enjoy the water sports in Goa. From river-rafting to trekking, the splendid Goan landscape is really extravagant when it comes to pushing your boundaries. 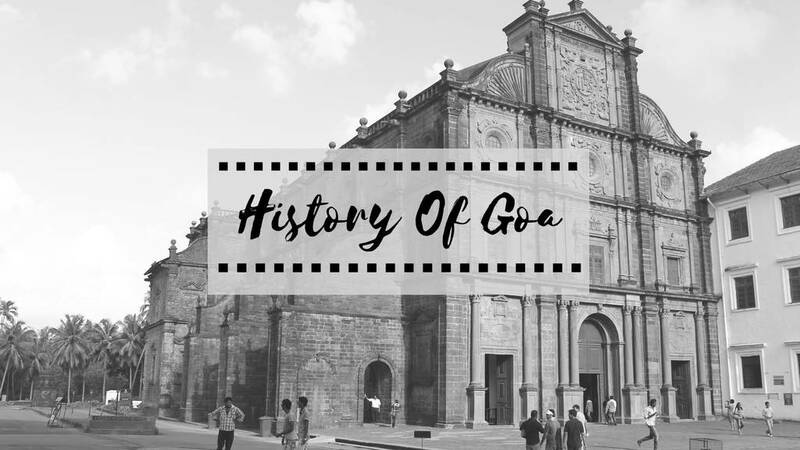 Read all that you need to know about Goa and find out the awesome-st adventure sports in Goa that you must absolutely try! 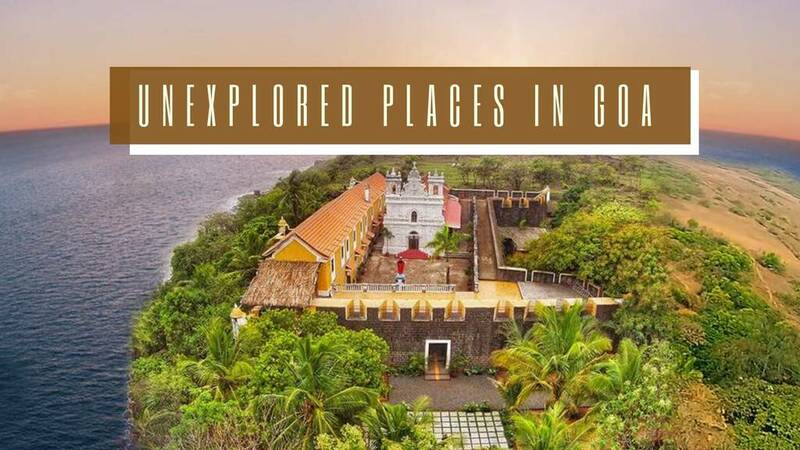 Don't be surprised reading this...yes, Goa lets you trek and enjoy the glorious atmosphere with its awesome terrain so you can trek your heart out and enjoy the thrill people get after pushing themselves. 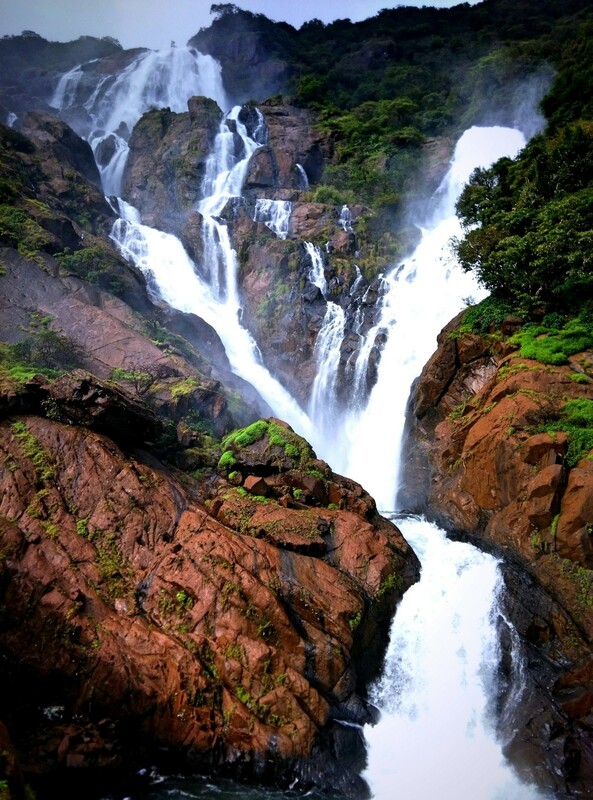 The Dudhsagar Falls is among the best locations for trekking in Goa. If you need a guide, you can easily get one and have fun with your group of friends while you dine your heart out. After all the hard work, you will love the splendid views you get. Dudhsagar falls can be reached via multiple routes, but the best view has to be the route you take from Devil's Canyon. The trek of Vagheriare peak is also considered as one of the most exhilarating experiences of Goa. Located at a height of 560m, a day-long trek from the Chorla Ghat Road leads to these peaks. Best time to do these treks is from October to December. However, keep in mind that you will need some things to make sure that you take care of you as the terrain is wild and of course, new to you. Where can you trek in Goa? 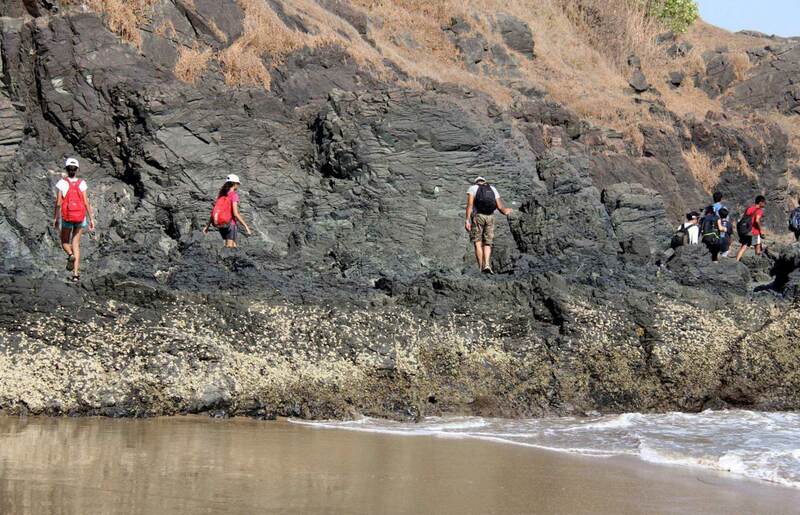 Which is the best trek in Goa? 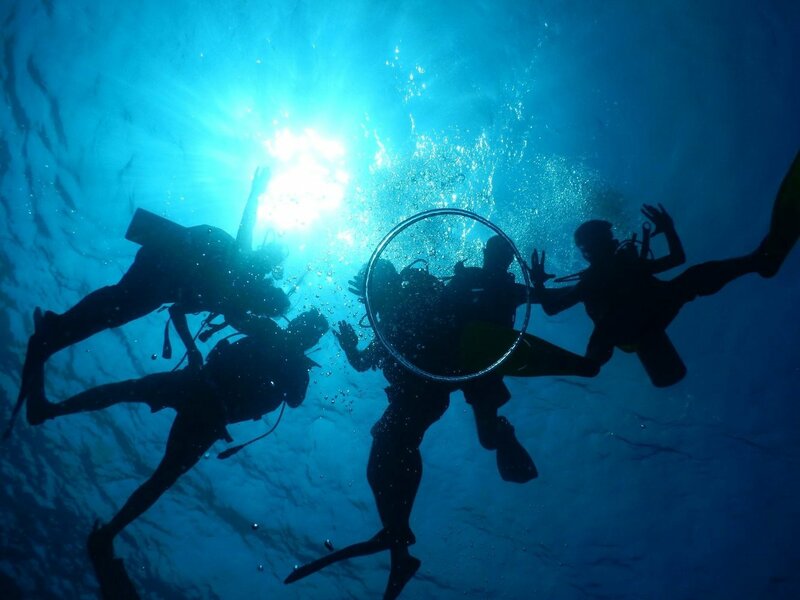 One of the most sought-after adventure sports in Goa, Scuba Diving is the best way to explore underwater life. This activity is a must if you want to explore the beauty of underwater and you want to embrace sea life and vegetation under the sea. The best island to do Scuba Diving in Goa is Grande Island. You would be using the best gear and legitimate equipment to help make the experience better and comfortable. The oxygen tank and the tube connected to a mouthpiece helps you breathe a lot better when you are inside the ocean. 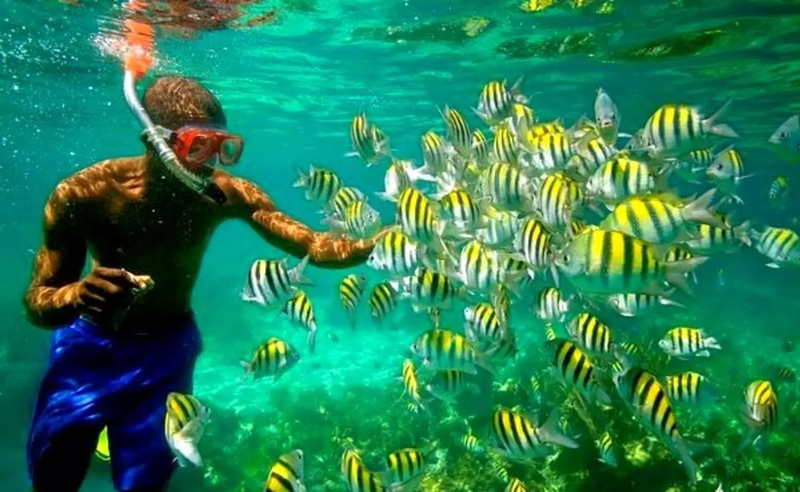 Feel the adrenaline rush as you dive into the cool ocean water and swim with the colorful fishes. It’s a perfect adventure for the ones who are looking for some thrill and fun in Goa. Dolphin sights are very common while you're discovering marine life in the sea. You can go scuba diving at Malvan Beach and there are plenty of places in Goa where you will find the best trainers and divers at. Where can you go scuba diving in Goa? Grande Island is perfect for Scuba Diving in Goa. As a stunning spot that hosts some of the best watersports in the entire Indian Subcontinent, Goa is awesome for parasailing. 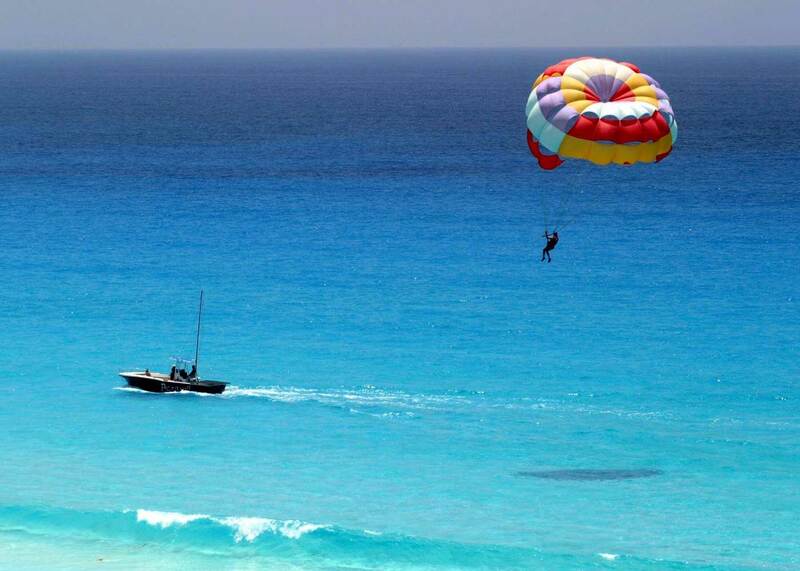 October to March are the best months to enjoy Parasailing. The Sinquerim Beach is touted as the queen of water sports in Goa and is among the best destinations if you want to go parasailing. 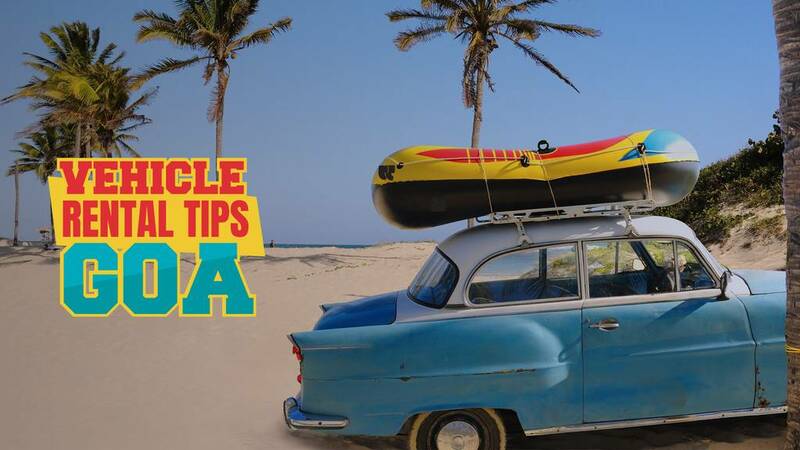 While you are there, make sure that you also go for a banana ride, snorkeling while soaking the sun. Visit the famous Chapora Fort and relive the Dil Chahta Hai glory with your friends while you also go parasailing. Make sure that you put on light clothes. Carry your own clothes, sunscreen, sunglasses. Definitely, don't go parasailing during Monsoon. What are the best beaches for parasailing? 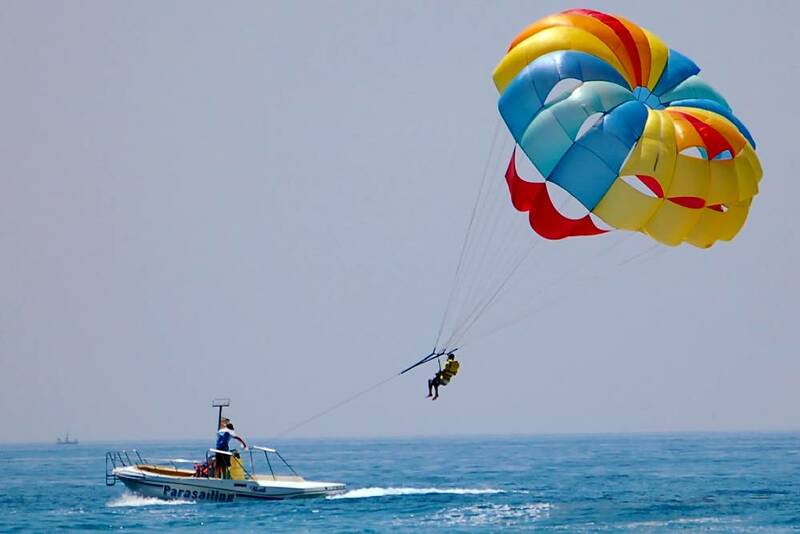 Calangute beach is among the best beaches to try parasailing at. Other than that, you can also enjoy yourself at the Candolim, Baga, Anjuna Majorda beaches, etc. Do you need training before you go parasailing? Not much but a trainer or instructor will be there to help you out. River rafting happens at Valpoi in Goa at two different time slots - one at 9:30 am and the other one at 2:30 pm. 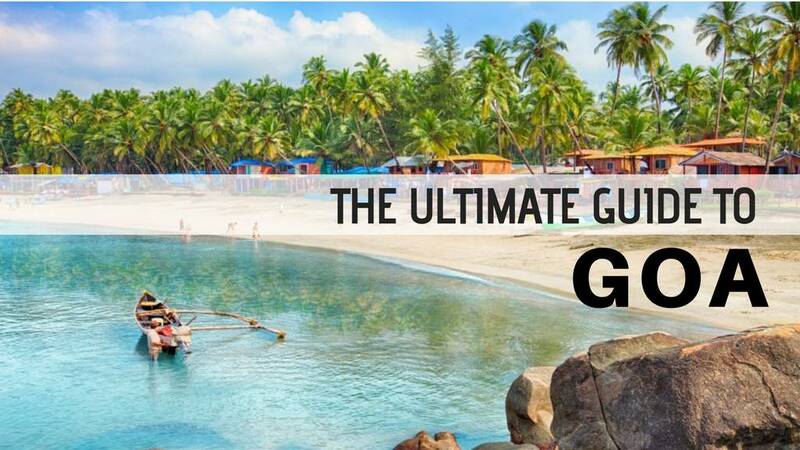 River Rafting in Goa may sound like a weird thing but ever wonder what the Goan appeal is? There's actually a reason why people love White Water Rafting so much...imagine the thrill of pearly white water and you digging your way through it. If you see the map of Goa, you will see more beaches and cool places that are totally worth back-to-back check-ins. 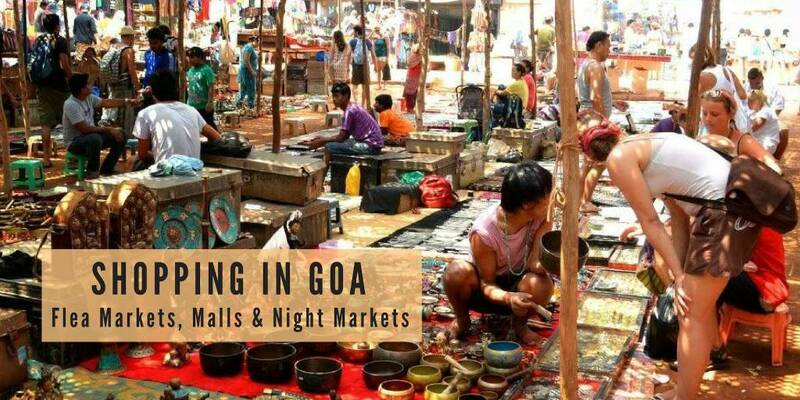 Believe it or not, but other than partying, Goa has a lot to offer. 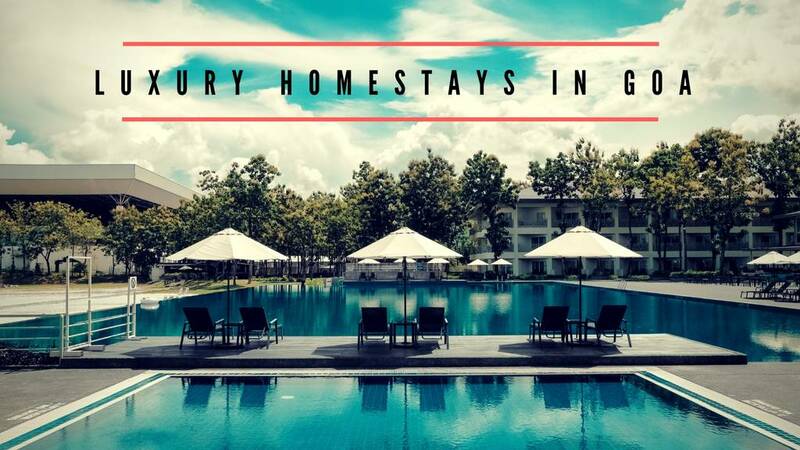 You won't just enjoy yourself but also taste eternity in just one thrilling experience. Other than the Valpoi River, the Mandovi River is just as stunning. Imagine the beauty while you move downstream and enjoy yourself. 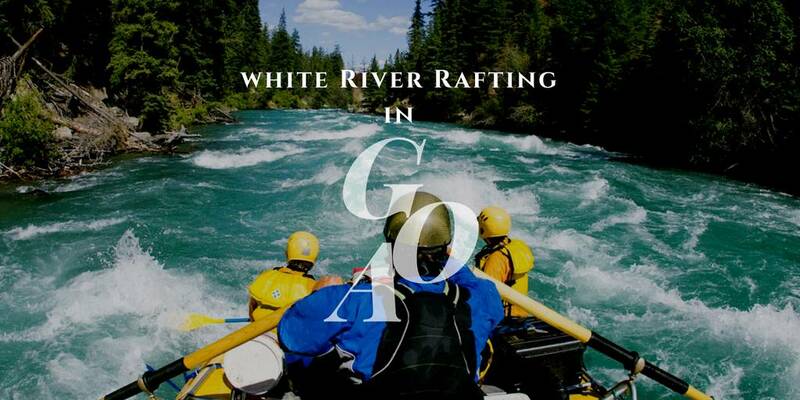 Which is the best place to go white water rafting? The Tilari River, Mandovi River, and Valpoi River are the most famous for river-rafting in Goa. You can also go sea rafting at Arambol beach. Once you are done exploring the lush views of Goa, you should definitely enjoy the cute and crazy experience of Hot Air Balloon Flight in South Goa. There's absolutely nothing better than enjoying yourself right up in the sky and get some extravagant taste of the stunning world below. Enjoy a nice date in heaven with gorgeous clouds surrounding you and get the break you been keen on getting with this awesome adventure sport. Your Goa trip is really incomplete unless you take a grand tour of the stunning skies in Goa with a hot-air balloon. You will feel like you are floating in the air and as you move through the beautiful string of clouds. A breathtaking adventure indeed, you will forever remember this beautiful trip. Keep in mind that you check the weather forecast before you go for the trip as in case of a storm or heavy rain, it'd be rather unsafe. 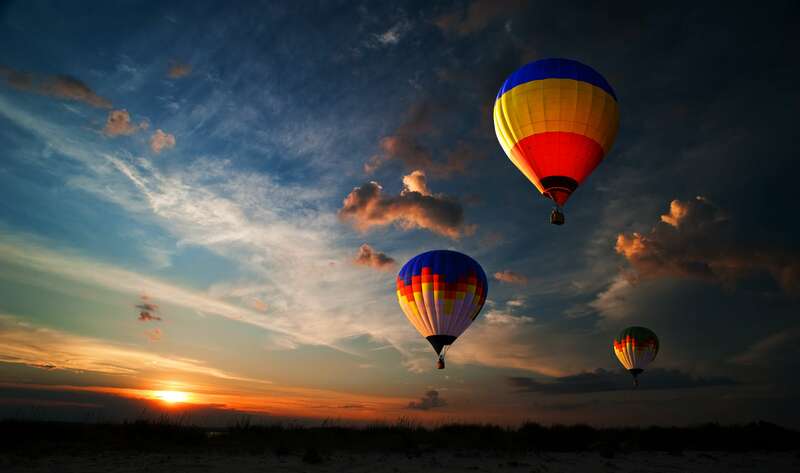 Where can you go enjoy the best Hot Air Balloon Flight in Goa? You can enjoy the perfect Hot-Air Balloon Flight at Assolda Ground. Goa is one amazing destination when it comes to water adventure sports and daily Kayaking trips are run throughout the year (including monsoon) in the safest and scenic rivers of Goa - the Zuari, the Mandovi, the Sal backwaters and the Nerul river. You can also do the twin activities of Backwater Kayaking and crocodile watching in their natural habitat. A team of experts will accompany you throughout the activity through the calm backwaters of Goa as you watch the magnificent crocodiles as you sail your way down the river. The tour is a customized tour and can be availed at any time of the day from 3:00 PM - 6:00 PM. Sunset Kayaking at the Mandrem beach when you're paddling through the Mangrove forests gives you such relief from your stress. 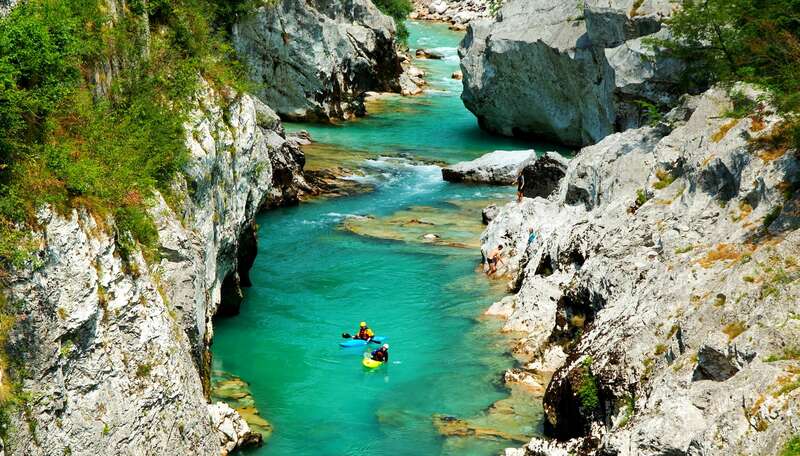 Feel the adrenaline rush as you start kayaking in the waters and overcome the currents. As you paddle up the River Mandovi at low tide watch these magnificent creatures sunning themselves on the mudflats at the side of the river, and in the mangroves. Where can you enjoy some awesome kayaking in Goa? The Zuari, the Mandovi, the Sal backwaters and the Nerul river are the best-known spots for Kayaking. You will get to spot some cool crocodiles but make sure that you don't get too close. ATV Ride Jungle Trail or in simple words, biking on extreme and all other types of terrains is one activity that will get your heartbeat up! It is a great activity for adrenaline lovers. The minimum age for doing this 14 years of age. It has two tracks with varied difficulty levels and is spread over an area of 5 Acres. Hire your own ATV bikes and get your adrenaline pumped this vacation! Adventure track - It is made on flat land with many obstacles. One can enjoy the ride in mud, sand, rocks, wood, and bumps. Jungle Track - It passes through the Spice Plantation. This track has natural Elevations. Where can you enjoy the ATV Biking Jungle Trail? 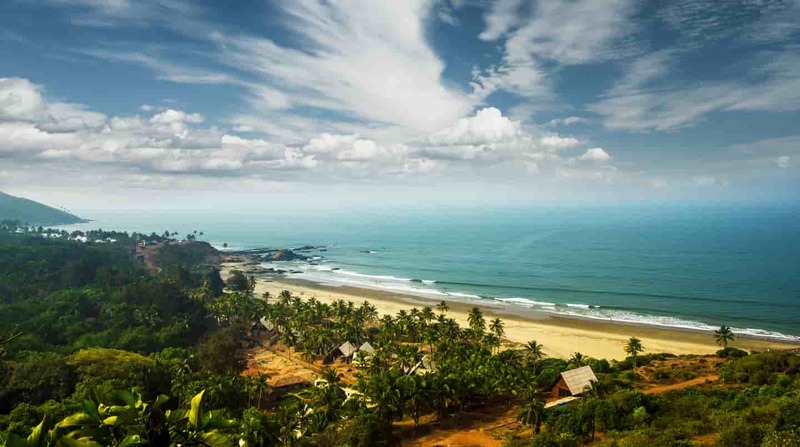 Go Bananas provides several options for this adventure in Goa. There are two well-equipped tracks in Goa - One is in North Goa and the other is in South Goa. It is a must-do activity for people of all age groups (from the age 10 to age 60). Go Karting is synonymous with speed, sharp turns and collisions and the passion of a racing enthusiast. Go-karting does not require any special training. It is safe and enjoyable. It's for anyone who wants to experience the thrill of racing. The safety features include a solid reinforced protective frame; tracks built for excellent traction lined with tire walls and a guardrail as precautions. Where can you enjoy Go Karting at? You can enjoy Go Karting at Arpora & Nuvem. MilSim - is an abbreviation of Military Simulation and are organized for entertainment purposes. Some of the thrilling activities here include airsoft games, paintball games, and video games simulating military scenarios and tactics. They also offer new activities to do like Human Foosball (A Novel Spin-off of the table foosball) and Virtual Insanity (VR Gaming experience). All of these are sure to give you a different kind of rush that is not outdoor but still equally enthralling. SPLAT: This arena - Oxford Paintball Arena in Anjuna (North Goa) is another venue to indulge in the outdoor and fun activity of paintball. It is a frequently visited site for students and corporates (who use this as a way of team building). This paintball activity is sure to give you the best experience of your life as you plan with your team. Where can you enjoy Paintballing in Goa? You can enjoy paintballing in Milsim, Goa. Combining elements of sailing and surfing, Windsurfing is a very exciting water sports activity. Windsurfing combines the aspects of both sailing and surfing. The rider has to stand on the board and firmly grip the sail attached and then maneuver according to the wind and water pressure. It is a balancing act and can be really frustrating to learn the difficult technique. Dona Paula jetty among others such as Candolim Beach, Calangute, and Baga is considered to be the best place for windsurfing especially if you are a beginner. 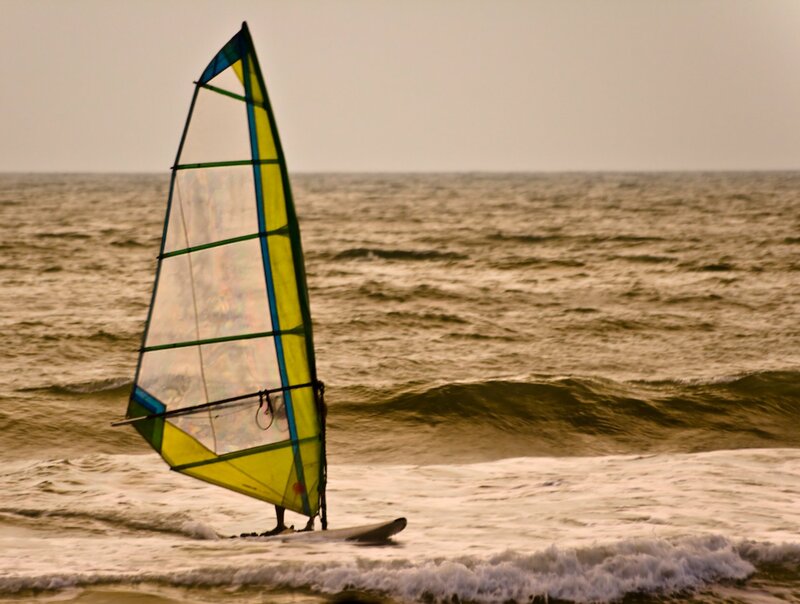 Where can you enjoy windsurfing in Goa? Dona Paula jetty, Miramar, Bogmalo, Vagator, Palolem. 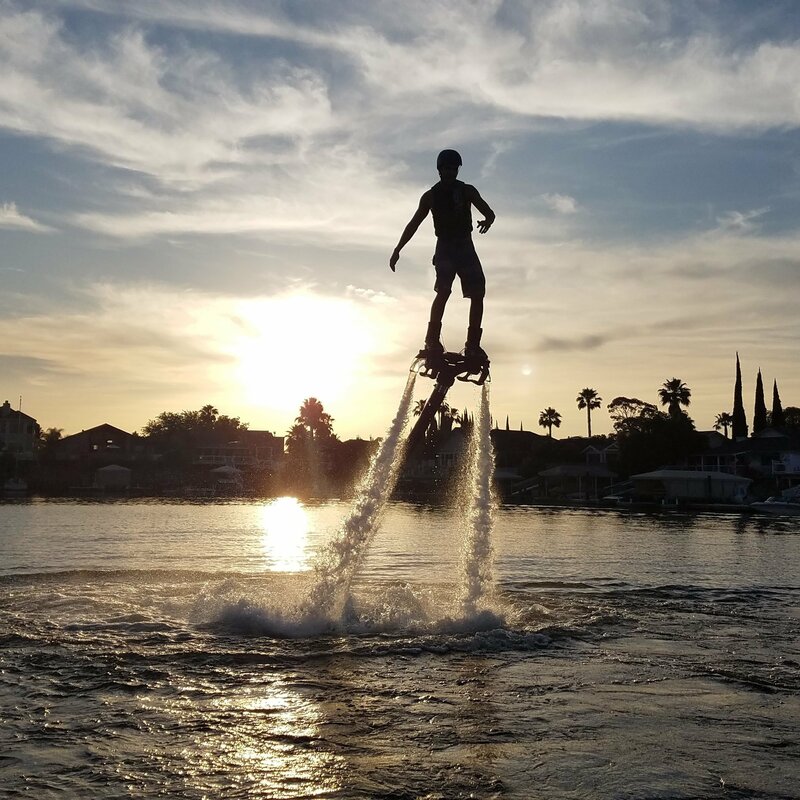 Let your soul run wild with this amazing pocket-friendly flyboarding activity and enjoy yourself to the fullest at the Vagator beach in Goa. It won't be for too long but it'll be an awesome activity that you will surely enjoy on your own and the best part is that this glorious adventure fits in your budget too! You will need the thrill and the excitement blended together and there will also be a trainer available to help you perform the entire activity. Where can you enjoy Flyboarding in Goa? You will plenty of options to enjoy Flyboarding at Vagator Beach. Even if you've never been a camping person, you will definitely enjoy a camping experience in Goa. It's fun, delightful and far more happening than the late-night parties that have a fleeting charm. 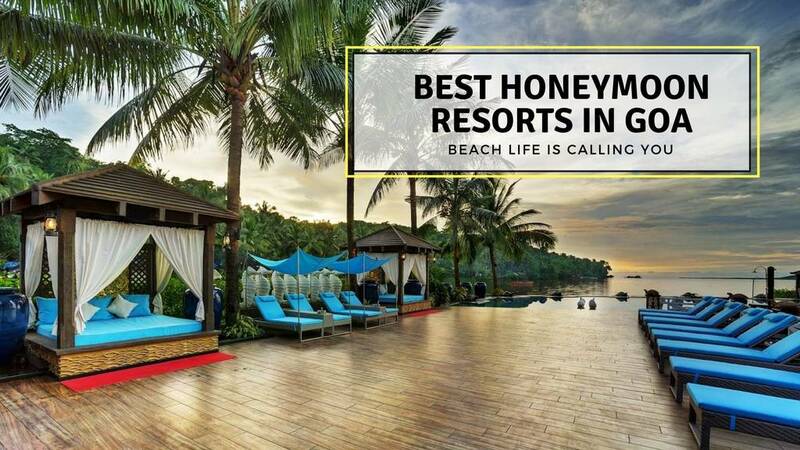 On the South Side of Palolem Beach, you will find just the best option for camping as there are some stunning bamboo huts with modern amenities that you will surely enjoy. You will love collecting your soul and getting some inspiration at the Palolem with this humbling and down to earth experience. The icing on the cake is that it is quite pocket-friendly and you will the time of your life without really getting your heartbeat up. The bonfire will surely get you all cheery and happy and the ambiance will sure fill you up with happiness once you spend your time rejuvenating your soul at the beach. 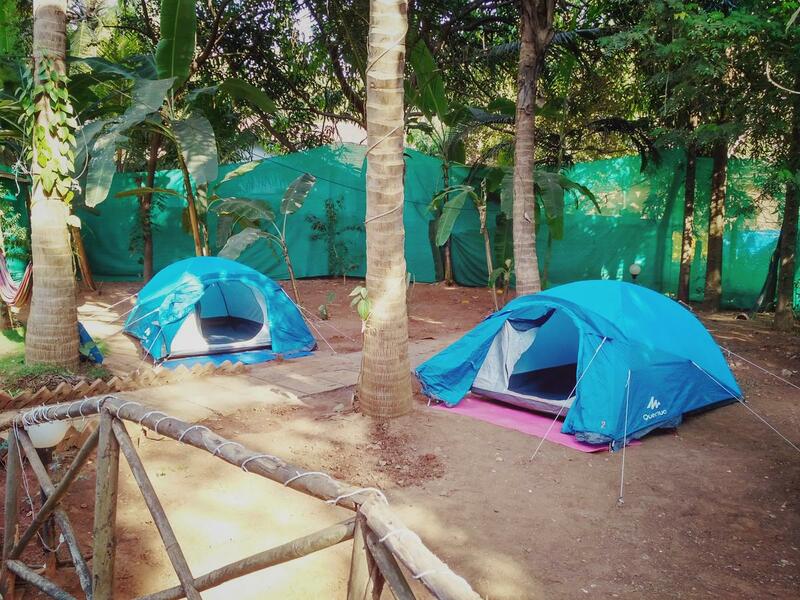 Where can you enjoy camping in Goa? 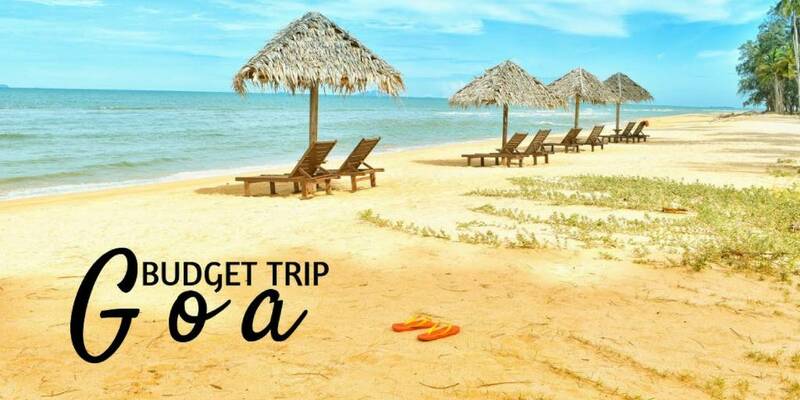 Ask your tour operator to get you a pocket-friendly camping tour in Goa and you can also camp at the Anjuna Beach but you will have book accommodation. 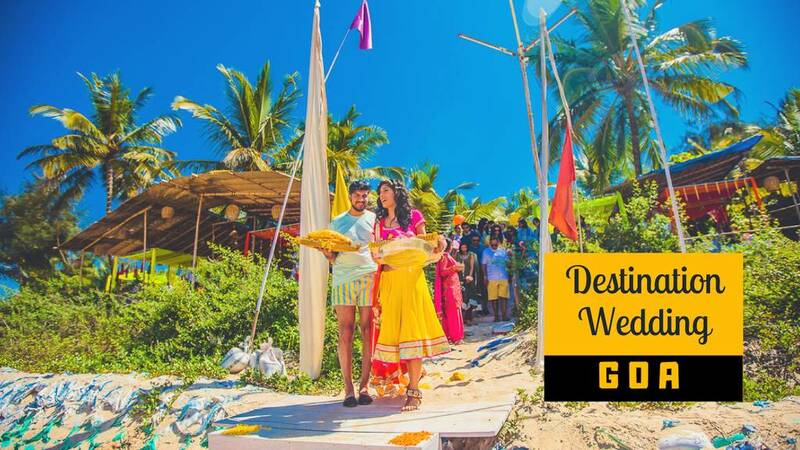 Enjoy a vibrant and life-defining experience at the Miramar Beach and go snorkeling and spot some super cute dolphins while you witness the grand beauty of life at the most happening party and a vacation place in the whole city. Enjoy a nice cruise and let your soul look for fine inspiration while your body rejoices in the grand beauty of the Goan Marine Life. Where can you go dolphin sighting & snorkeling? You can enjoy some awesome dolphin sighting & snorkeling at the Miramar Fort. Hiking is one amazing offbeat activity that will help you gain a balanced "nature" perspective on the world. If you read, you'd know how romanticized hiking has been throughout the literature. 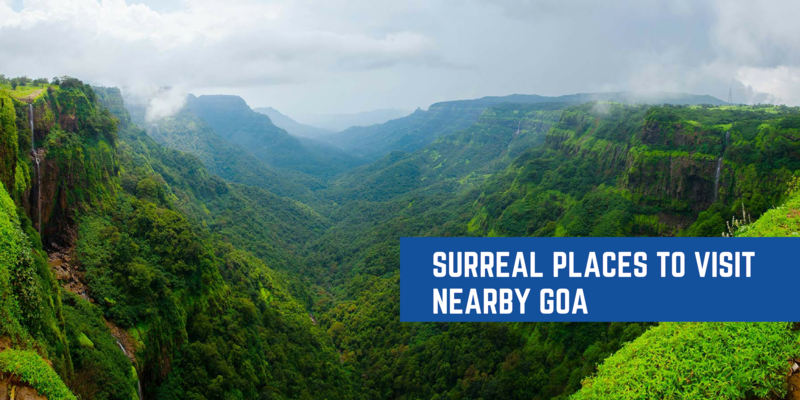 Revive your soul and enjoy the rugged terrain while you let nature test you physically throughout the Cotigao Wildlife Sanctuary, Salim Ali Bird Sanctuary, etc. If you are a true hiking fan, you will surely love the Sahyadhri which are also called the benevolent mountains as the trail is home to some of the most beautiful waterfalls and natural marvels. Where can you go hiking in Goa? You can hike all the way to the Ravan Dongor Peak with the help of a guide. 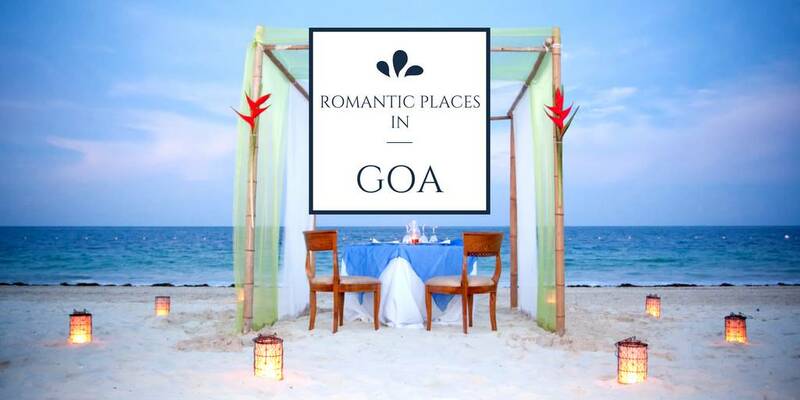 Since Goa has just the perfect terrain, you will plenty of destinations throughout the state. Experience the amazing and thrilling adventure in Goa with amazing sports activities like Jet Skiing at the Coco Beach. 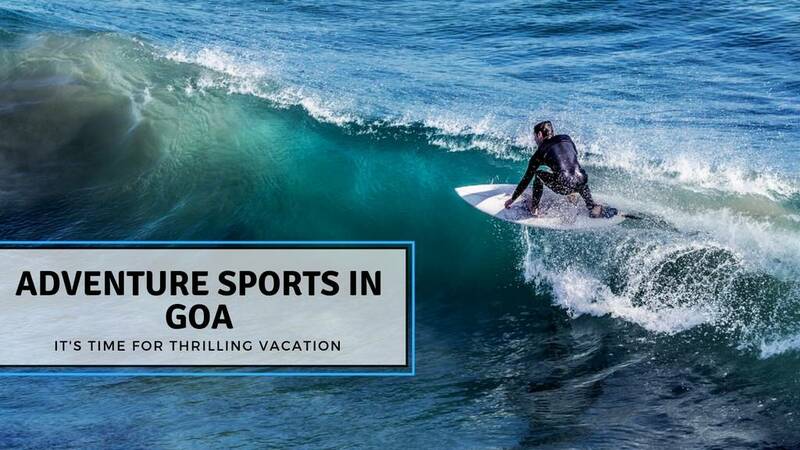 You can get a guide or a trainer to help you out with settings and you will get plenty of adrenaline rush with the awesome sports in North Goa. Where can you enjoy Jet Skiing and other water sports in Goa? The Coco beach in North Goa hosts some of the best water sports in Goa. Q: What the prices for the adventure and water sports in Goa? Approx Costs: 499 per Person. Destination:Calangute – Baga, Kayaking North Goa, Palolem Beach, Dona Paula jetty, and Hollant Beach. Q: How much does it cost to enjoy water sports in Goa? Depending on your choice of water sports, the cost may vary ranging from INR 300 to INR 5000 and above. Q: Which is the best beach for Kayaking in Goa? A: Palolem, Agonda, and Patnem in South Goa are among the best beaches for Kayaking in Goa. Q: How far is Goa from Mumbai & Pune? 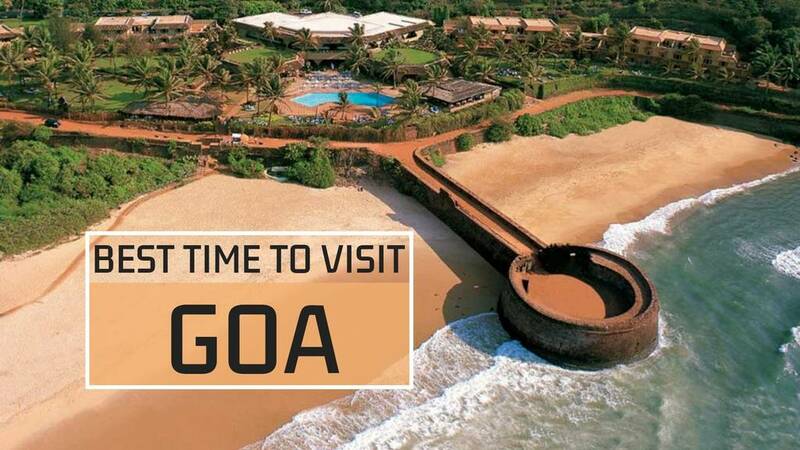 Goa is around 600 kms from Mumbai and you can fly to Goa or take the train and even hire a private cab. Pune is around 450 kms from Goa. Q: Which is the closest beach to the Airport in Goa? Bogambo Beach is just 2 kms from Dabolim Airport. Q: What are the best Goa tourist places that everyone should visit? 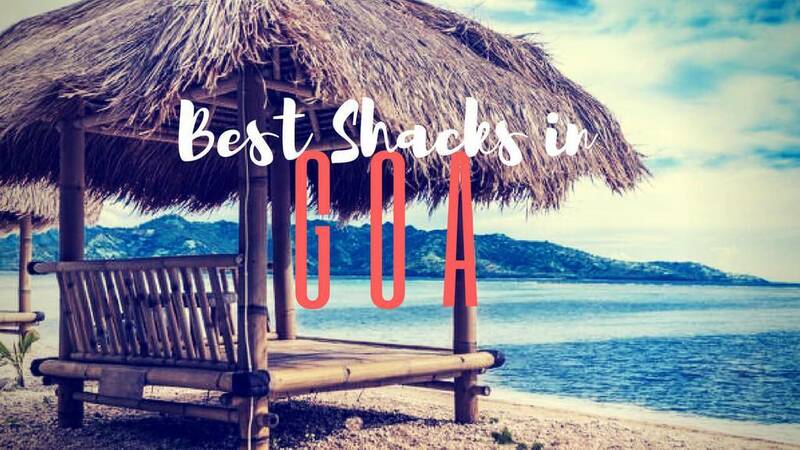 The Dudhsagar Falls, Fort Aguada, Basilica of Bom Jesus, Calangute Beach, Anjuna Beach, etc are among the best destinations in Goa that everyone should visit. 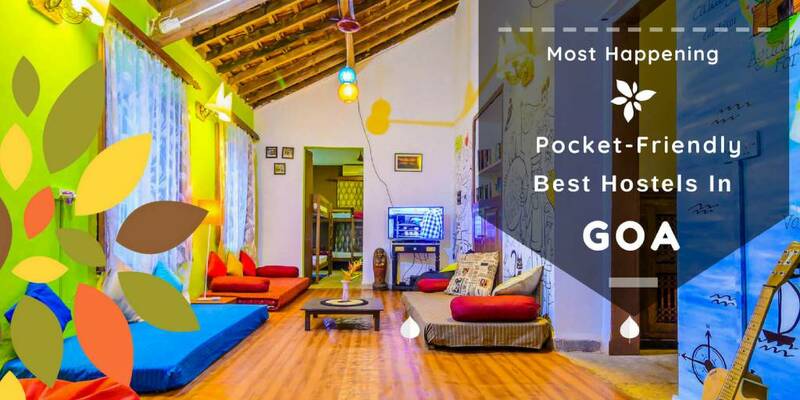 Q: What are the best places to visit in Goa for youngsters? 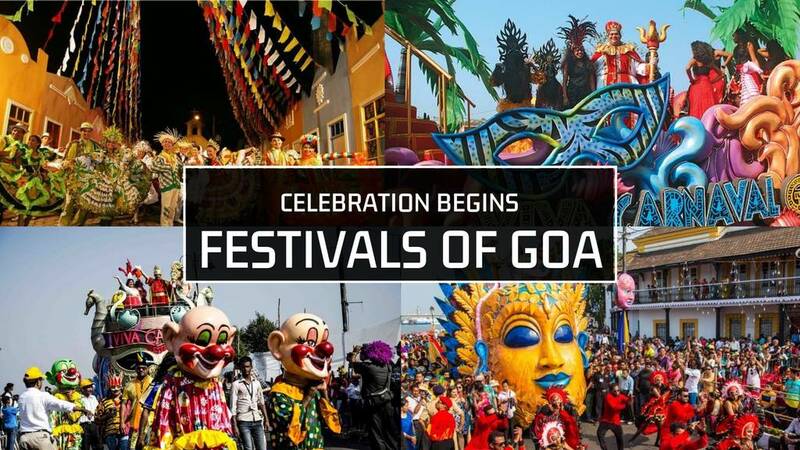 Youngsters should definitely enjoy partying and adventure sports in Goa. Q: What is the name of the Goa railway station? Madgaon is the Goa's famed railway station.